We love beautiful images of weddings and Jon Thorne is just the man to capture stunning pictures. We thought we would share a recent Blog post from him about the beautiful wedding of Alicia and Jamie who got married with us this summer. 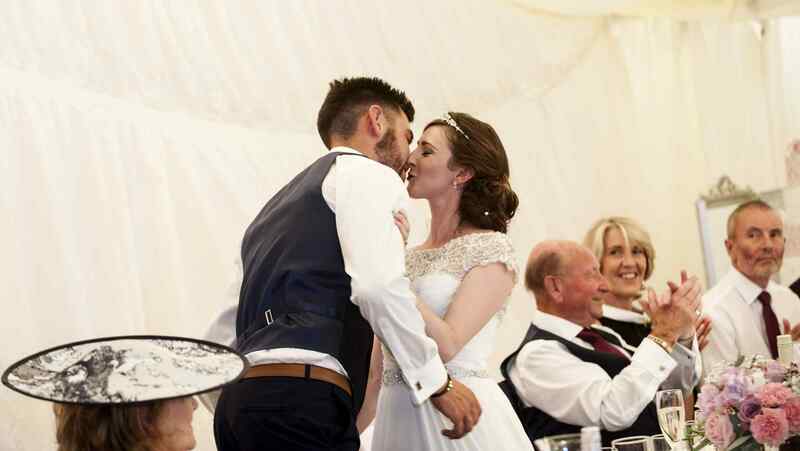 We get so many lovely comments & testimonials from our couples and they share with us a whole host of reasons why they decided to host the most important day of their lives with us at The Heath House. 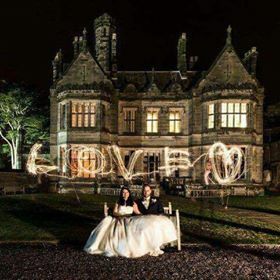 For some, the most important part is the house itself, for some it’s the stunning location, others adore the flexibility to create a truly unique wedding that is all about them and many love the homely feel we create – a house for your wedding. We thought we’d have some fun and try to bring all the feedback together to create a list of the best reasons to get married at The Heath House…so here goes! Exclusive Use – at the centre of what we offer is to offer our home for your special day and, as such, it is yours exclusively for the time you have booked. There will be no other weddings at the same time, we will not be rushing you off to make way for the next couple and we will be able to focus all our attention on your most special, important day. A Home for your Wedding – The Heath House is very much a home and we love to share it with you so that it become your home for your wedding. You can immediately relax with your loved ones and guests in the homely atmosphere we create – comfy sofas, gorgeous bedrooms, flexible event management, roaring fires, real candles are all a given. A Truly Bespoke Experience – you wedding will last with you forever and you want it to be unique, personal, intimate & special. From day one of booking your wedding we work with you to make your dreams come true including making all your most innovative ideas become reality. We have accommodated everything from helicopters and full size carousels to welcoming much loved canine friends, creating games areas & so much more. The Personal Touch – this might sound a little obvious but many times our couples say to us that it was our personal approach to them and only ever dealing with one event manager throughout the planning stage and the day itself is what made them choose us. We are there to hold your hand, share our extensive experience, support you and make your dreams come true right up until the last guest goes to bed on your wedding night. Location, Location, Location – although we say it ourselves, we are located in a rather amazing spot! Not only are we surrounded by beautiful rolling hills and fields, formal gardens and lawns (perfect for every amazing photo of your wedding), we are also ideally situated for all your guests. Just 1.5hrs from London by train and only 30 minutes from both the M6 and M1 in the Midlands, The Heath House is convenient, easy to access & yet away from it all for your magic day. Find out what Carla & Aurie said about their wedding with us and what made them choose us from day 1. The paint brushes & ladders are out again at The Heath House and are so excited to finally be redecorating our beautiful Dining Room! We are surrounded by paint charts, mood boards & plans as we transform this great space into something amazing. 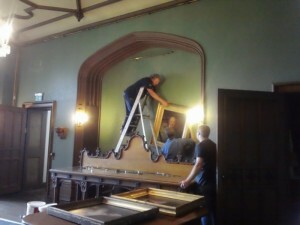 However, as with all house projects, there’s plenty of prep first – removing precious paintings, taking down the old curtains and just a spot of messing about! Follow out blog & our Facebook page to watch our progress as we head towards the ‘big reveal’….